Strolling out to Fugazi's "Repeater" blasting out of the PA, Hari Kondabolu sized us up quickly and determined that we'd be with him and his thoughtful material. His exasperated, socially observant jokes and personal anecdotes are heady and charming and, returning to Toronto, he was in fine form. 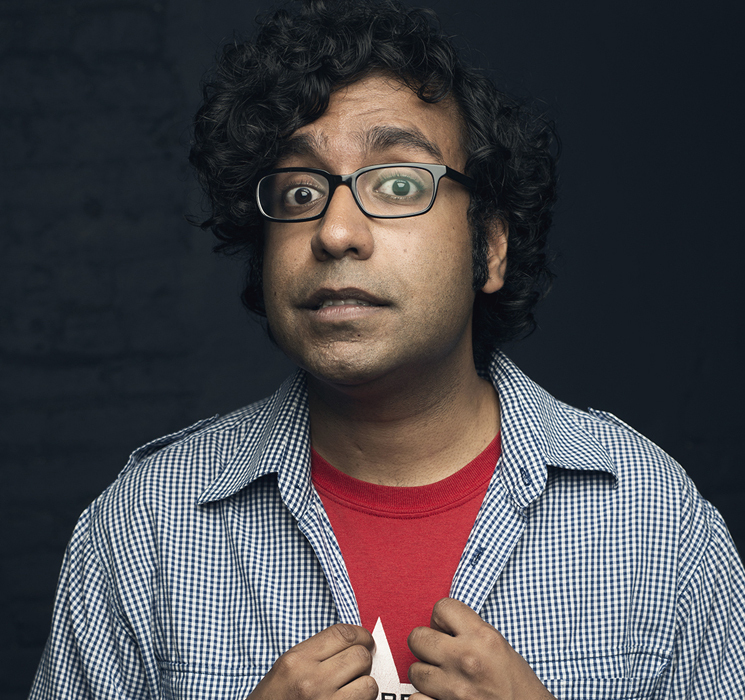 Kondabolu has a unique way of engaging with the baffling behaviour of the people he encounters, and revels in what can be learned about society from displays of personal politics. He tells a story of just minding his own business at a restaurant when a stranger approaches, perceives him to be famous, but then insists that Kondabolu is actually Kid Rock. What seems completely implausible to anyone who compares both men's physical characteristics and cultural contributions almost makes sense, as Kondabolu weaves in allusions to notions of post-racism and how some people distort the world that's so clearly in front of them. Kondabolu has long and lovingly discussed his mom on stage because, based on his reportage, she might well say the funniest things ever. Here, again, he brought her and his father into the mix with fresh jokes and blunt quotes, as part of a solid hour of virtually all new material. By the time we learned that "cats are white people," it felt like we were on another planet. But, as Kondabolu articulated, we're actually stuck together in this perplexingly ridiculous, frustrating, and joyous timeline, so we might as well laugh and think about it, as hard as we can.